When we take ownership of the conditions on our streets, we take part in improving our community and bettering the lives of those who live here. 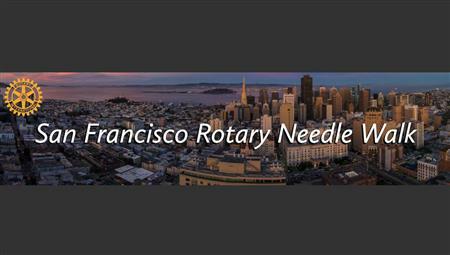 Please join the Rotary clubs of San Francisco at our second annual Needle Walk. We will spend an afternoon picking up garbage and discarded hypodermic needles to improve the lives of our housed, and unhoused neighbors. We will meet at 10:30am at the Westfield Mall food court for a no-host breakfast, and training. We plan to begin the walk at noon. Our route will cover only a few blocks, in areas where there have been multiple reports of discarded needles, and we plan to conclude the walk at 1:30pm. We hope to have as many volunteers as possible join us for this event: Rotarians, and friends. What we need: Garbage bags, and garbage picker-uppers. What we will provide: Training, and needle disposal boxes. What to wear and bring: A Rotary shirt if you have one, comfortable walking shoes, and gloves.